Your next great hot hatchback is right here. The 2018 Volkswagen Golf provides owners with an excellent combination of fuel economy and storage capacity all in a fun-to-drive car. The Golf’s peppy 1.8-liter turbocharged four-cylinder engine offers 170 horsepower and earns an estimated 25 city/36 highway miles per gallon. 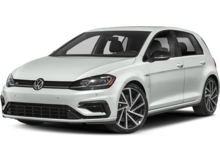 For even more power, choose the Golf GTI equipped with a 210-hp, 2.0-liter four-cylinder turbocharged engine or the Golf R with a 292-hp, 2.0-liter TSI four-cylinder engine. With a quality interior and a five-star safety rating, the Golf offers comfort and safety to go along with the compact’s great performance. Karen Radley Volkswagen offers a great selection of Golf models. Car shoppers in the state of Virginia looking to test drive a new Golf should make Karen Radley VW their first stop. Our convenient location on Interstate 95 allows us to offer customers in Burke, Manassas, Bristow, Stafford and Quantico areas a great selection of new and used Volkswagen cars. Final Price excludes applicable tax, title, license, freight, manufacturer/dealer options and $695 processing fee. Pricing may require contributions from the manufacturer such as bonus cash or contingent upon financing or leasing with VCI. *Freight charges included in the MSRP but excluded in the final price. 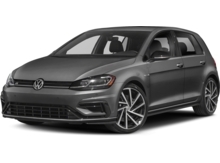 Freight amounts per model: $895 for Jetta, Passat, Golf Alltrack, Golf, Golf GTI, Beetle & Golf Sportwagen, $995 for Tiguan, Arteon and Atlas. Manufacturer incentives are valid during the time period set by the manufacturer and are subject to change without notice. Not responsible for typographical or data errors. See Karen Radley Volkswagen for verification or an explanation of pricing for vehicles displayed. Although every reasonable effort has been made to ensure the accuracy of the information contained on this site, absolute accuracy cannot be guaranteed. This site and all information and materials appearing on it are presented to the user "as is" without warranty of any kind, either express or implied. All vehicles are subject to prior sale. See dealer for additional program qualification. *These estimates reflect new EPA methods beginning with 2008 models. Your actual mileage will vary depending on how you drive and maintain your vehicle. Actual mileage will vary with options, driving conditions, driving habits and vehicle's condition. *Mileage shown for each vehicle is an EPA estimate. All vehicles are subject to prior sale. Price does not include applicable tax, tags and $695 processing fee. Although every reasonable effort has been made to ensure the accuracy of the information contained on this site, absolute accuracy cannot be guaranteed. This site and all information and materials appearing on it are presented to the user "as is" without warranty of any kind, either express or implied. All vehicles are subject to prior sale.